This site has decided to announce Sir Alex Ferguson as the Entrepreneur of the week. 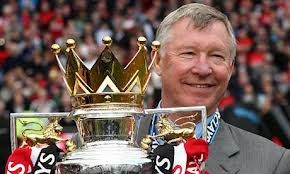 Although #Sir Alex Ferguson is the coach of Manchester United Fc but was chosen as the Entrepreneur of the week based on managerial skills he performed during his 27yrs as a football manager. I though people could only make money doing Business, working a salary job, rendering services or Online Business but some Japanese girls have decided to make money by renting their thigh as an advert space for companies.